Faithful YouTube viewers who wish to play as their favorite creators in a video game now have that opportunity thanks to BroadbandTV. The digital media company is behind Squad Rivals, a mobile game whose roster of characters includes 15 popular YouTubers. In Squad Rivals, players take control of a party of warriors, each equipped with their own unusual arsenal of attacks. Once a lineup of battlers is assembled, players must head to the town of Molasses to save it from the evil Greedy Corp. There are hundreds of playable characters in all, including the digital likenesses of Bart Baker, Chad Wild Clay, AzzyLand, Angry Grandpa, itsAlexClark, Keemstar, Infinite Lists, Cleanprincegaming, InquisitorMaster, UnlistedLeaf, MagikarpUsedFly, Etika, Relaxalax, iMav3riq, and Bootramp. A 12-minute Squad Rivals gameplay video arrived on YouTube back in March. Squad Rivals is the first project to come out of BroadbandTV’s mobile gaming division, which was announced back in January. The network previously teamed up with one of its most notable partners, the Salvadoran creator Luis “Fernanfloo” Flores, for a mobile game that was downloaded more than 2.3 million times in the week after its 2015 launch. BroadbandTV is not the first media company to sell a mobile game that includes tons and tons of YouTubers. 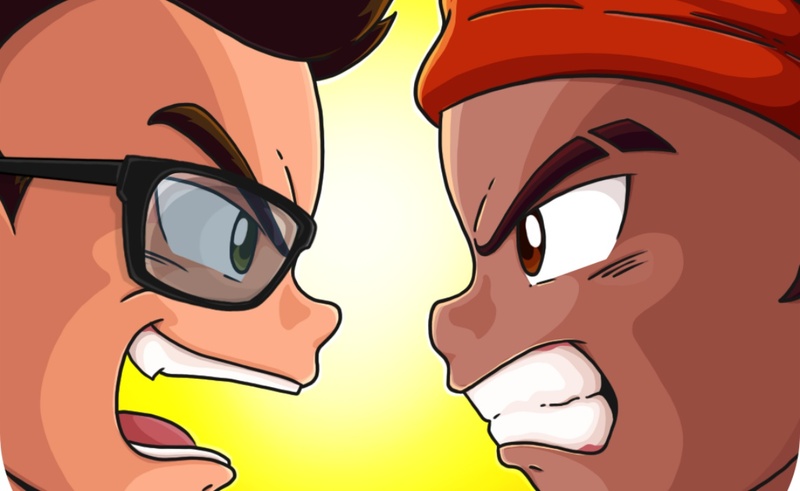 Top creators like KSI and TheDiamondMinecart appeared in the 2015 brawler Celebrity Street Fight, and 2017’s Fastlane: Road to Revenge featured the likenesses of 21 different videomakers. Squad Rivals is available for both iOS and Android devices. You can check out a trailer for the game here.